A cabin in the woods will refresh your spirit and inspire you to live your best life whether you prefer curling up by the fireplace or listening to water cascading down the creek. This 4-bedroom, 3.5 bath, home embraces its surroundings to create something spectacular. 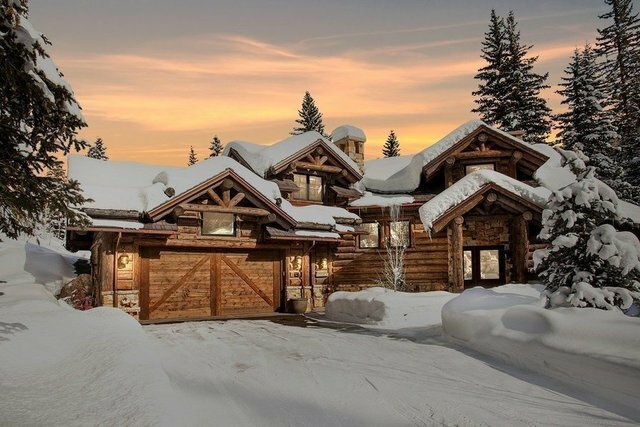 With log-treaded stairs and exquisite detail throughout, this home incorporates the natural beauty of the outdoors while honoring and upgrading the cabin style. Get inspired by the raw power of nature.